Disney and Star Wars: “Forcing” the Issue? Welcome back to Channel Chaser! Unless you’ve been living under a rock for the past two years, you’re probably already aware that the massive entertainment conglomerate Disney has acquired for its own one of the most popular fictional franchises ever: Star Wars. Now, let me just preface this little argument by saying that I’m as open to trying new things and giving new management a chance as much as the next guy. After all, Disney owns Marvel, too, and that hasn’t stopped them from putting out good movies in the last few years. But there’s just something about the idea of Disney buying up Star Wars that just doesn’t sit right with me, and it starts with how Disney seems so intent on showing off its shiny new toy. First of all, for those of you that haven’t heard, Disney’s most recent announcement in the sci-fi vein is that all the company’s theme parks will be getting Star Wars-style overhauls as of next year. While most of the details are still under wraps, word on the street is that the expansions are meant to attract long-time fans of the saga, and the PR blast confirms suspicions that have been running high since the 2012 Lucasfilm buyout. This by itself might now raise too many eyebrows. But wait, there’s more. A few of my friends and I have joked on and off since the Disney acquisition of Star Wars that, technically, Leia Organa, one of the main characters of the franchise, is now a “Disney Princess” together with the likes of Ariel, Jasmine, Belle, and all the rest of the kid classics. A joke, perhaps, but to me, it seems to be quickly changing into an uncomfortable reality. Could Disney use their control over the Star Wars universe to totally recreate the series in their own image and trash anything that they don’t like? The answer, it seems, is yes they can. Another major announcement from Disney only a few months ago revealed that the media giant plans to throw out and disown the entire Star Wars expanded universe: a.k.a., all the books and other material with stories that take place after the original trilogy and formed the continuing history of the series up until this point. In order to make room for their own expansion into the new franchise, Disney essentially wrote off decades of hard work and great material, alienating (no pun intended) a lot of long-time fans just for the sake of starting with a clean slate. What does this have to do with TV, you ask? Don’t worry. I’m getting there. As further evidence of how Disney appears intent on spiking the football in terms of its acquisition of Star Wars, I point you no further than to the case of Phineas and Ferb. Earlier this month, Disney aired a two-episode special on the popular cartoon show that basically re-wrote Star Wars: Episode IV as a parody of its former self, starring many of the animated show’s characters in place of the real ones. Again, I’ll be the first one to admit that the whole event was kind of funny, but my point is that if Disney feels comfortable with disregarding the expanded universe in its entirety and even applying edits to established stories like Episode IV wherever they want to, what does this mean for the future of the Star Wars franchise? My depression deepened when Disney revealed that a new animated series called Star Wars: Rebels, that ostensibly takes place between Revenge of the Sith and A New Hope and chronicles the formation of the Rebel Alliance, would be launching (again, no pun intended) this October. After the first rather lackluster cartoon foray into Star Wars that was The Clone Wars–to be fair, I can’t blame Disney for that one–my hopes weren’t high. In all honesty, though, once I did some research on what Rebels is all about, I was actually kind of impressed. Even though the lead character stereotypes are admittedly somewhat tired and overplayed, with a sarcastic anti-hero, followed around by an assortment of thugs, castoffs, and rejects, who all come together in order to fight back against tyranny, I found myself interested at this new approach to uncharted story territory. 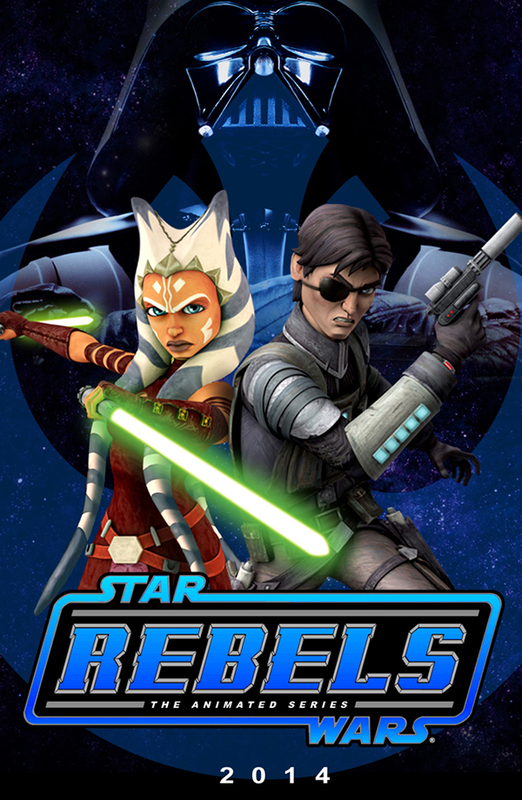 Producers also promise that Rebels will be going to “dark places” in its quest to expand on the Star Wars universe, hinting that the stereotypical bubblegum approach to storytelling that Disney cartoons are known for may be absent. I’d advise caution, though. In addition to the new characters, Disney also plans to intersperse Star Wars regulars like Lando Calrissian, Obi-Wan Kenobi, and C-3PO into the story. Will they be able to do the beloved fan-favorites justice, or will their attempts to tighten their grip on total control over the Star Wars universe cause them to re-write history yet again? It’s tough to say at this point, but my money is on the latter. At the end of the day, I realize that the argument is over. Disney owns Star Wars; therefore, they have the right to do whatever they want with the franchise, and that’s just the way things are. I also understand that the primary motivation behind the acquisition was, like everything else, for the money. Star Wars is a huge profit zone that could make Disney even more powerful and influential than it already is. I’m only asking what the cost of this will be to the legions of loyal fans out there. If things keep going the way they are, I worry that me and all the other people who grew up watching Star Wars will live to see our beloved saga become unrecognizably altered. Where’s the fun in that? Channel Chaser is written by Kyle Robertson. You can check out more of his work on his website. Check back every Friday for new articles.